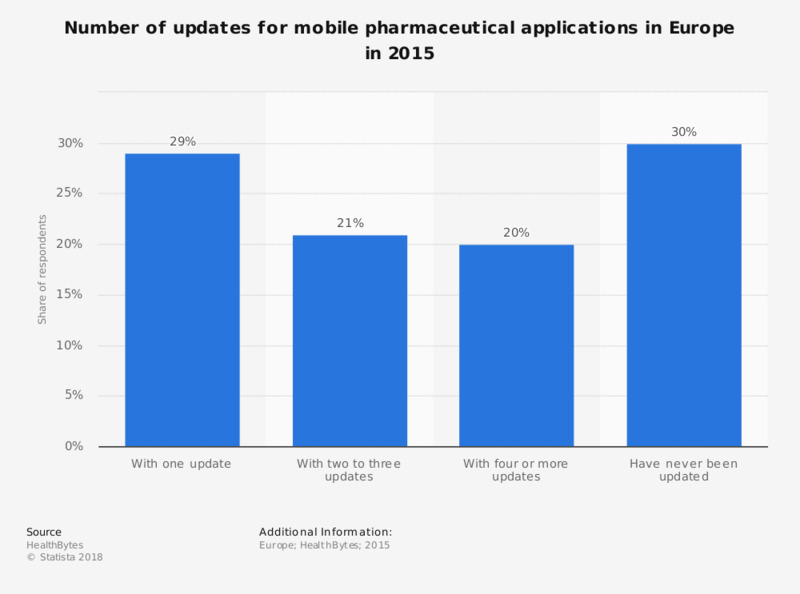 This statistic displays the number of updates for mobile pharmaceutical applications in Europe in 2015. The majority of pharma apps have been updated at least once since they were launched. However, 30 percent of pharma apps released have never been updated.